If you have any information on Diciolli’s whereabouts, please contact CMPD Detective David Sevilla, at 714-754-5360. 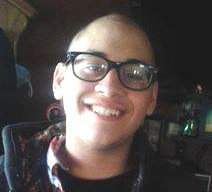 Robert Estrada has not been seen or heard from since Sunday May 17th around 6:45 PM in Anaheim, CA. He was on his way back home to Santa Ana and hasn’t been heard from since.